Shortly, I'm Elar and I'm web application security penetration tester in Clarified Security . I'm also author and lecturer of a 4-day training "Web Application Security" . I've delivered 1700 lecture hours from March 2012 to May 2016. Reasons are quite different. First one is to learn and practice my English. If you detect here some weird English, you are welcome to point out my mistakes. Since my native language is Estonian, I call my English - Estonglish. Just if you are wondering why my language construction are a bit weird. Second reason is to share the kind of information, which is not ethical to keep to myself. I'm talking about security holes in products or sites with big names. Sometimes they don't want to share information about their weaknesses and in my opinion, it is also not fare to hide it. Interesting features and possibilities in technology - some wtf moments for me and maybe some surprising moments for you also. 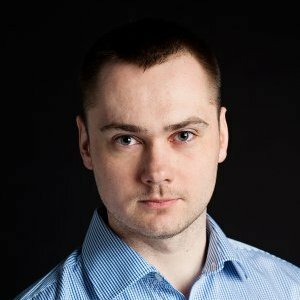 I'm going to describe here only my hobby projects - due to NDA I'm not going to describe findings from pentest cases which are related with our clients and their custom software. Sometimes I ask people - "how much is 9 multiply 9?". They know the answer, 81, from memory. They have "cached" it. Otherwise they should calculate each time: 9 + 9 is 18. To add 3rd 9, it's 18 + 9 = 27 etc, until they reach to 9th 9 and the value 81. For some reason most of web pages are working this 9 + 9 + 9 .. way. They calculate and generate the same content maybe million times. It would make more sense to calculate it once and then just serve those results. Dynamic pages have a lot of security issues. I have built them when I worked as web application developer, I have tested them as security tester - I don't want to use one for my own blog. So, here I am with static blog generator engine Pelican , which is written in Python . 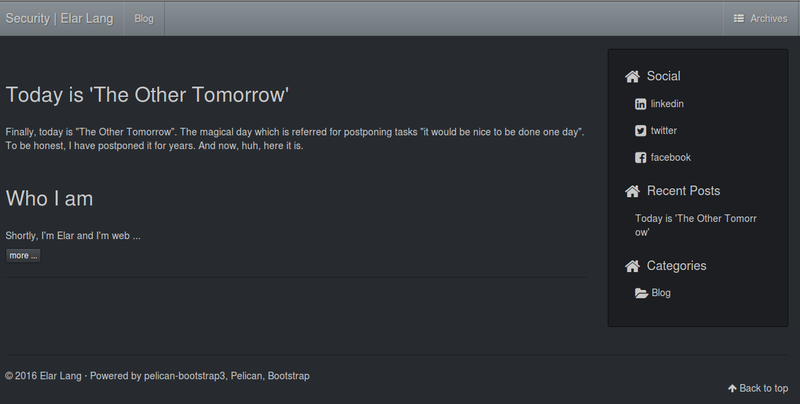 As a base template I used pelican-bootstrap3  with some theme from Bootswatch . Additionally Disqus  for comments, some extra plugins  and custom code.